Scientists warn of potential serious health affects with 5G Technology. About a year ago, 180 scientists from 35 countries signed a document recommending a halt to the roll-out of the fifth generation (5G) of telecommunication technology. More than 230 scientists from 41 countries have expressed grave concern over a technology that will put antennae’s every 10-12 houses in urban areas. This means the exposure will be inescapable for most people. The real question is – how will this affect you and your family? First – let’s look at what we know about exposure to RF-EMF Waves. Sweden gave us a clue about EMF effects in the 1950’s…. In 1988, when Dr. Brown and I first noticed that the patients coming to us who were computer programmers had far more difficulty getting healthy again, we became curious as to WHY this was the case. We accessed the Harvard Medical School Library and found the original heavy volumes of research journals listed symptoms in the 1950’s that are now common to thousands of people around the globe: headaches, chronic fatigue, fibromyalgia, cancer, sleep disorders, miscarriages – to name a few. Do you have Memory issues? It might be EMF Related. Fast forward to 2015. If you visit www.bioinitiative.org, you’ll find recent studies documening increased cancer risk, genetic damages, learning and memory deficits, neurological disorders, cellular stress and general negative effects on humans. Why is 5G so different than what we have now (3G and 4G)? We know that the radiation from WiFi and mobile phone communication is already affecting us. The big difference with 5G vs what we have is the DENSITY of antennae’s that will be required to make it work. 5G will use high band frequencies called millimeter waves (MMW’s), which will only transmit large amounts of data over short distances. Hence, there is a need to install antennae’s every 10-12 houses instead of every few miles. The old technology bands travel farther and do not require a dense network of antennae’s. However, these frequency bands are FULL! There is no more “air space” in these frequencies, so the mobile phone industry decided to use an untested higher frequency band to allow for mobile communications. MMW’s have issues that had to be overcome to make 5G work. MMW’s can be absorbed by foliage and blocked by buildings or reflected by a metal surfaces. This means hundreds of antennae’s need to be placed in close proximity for the signal to get where it needs to go. Do millimeter waves affect the body? 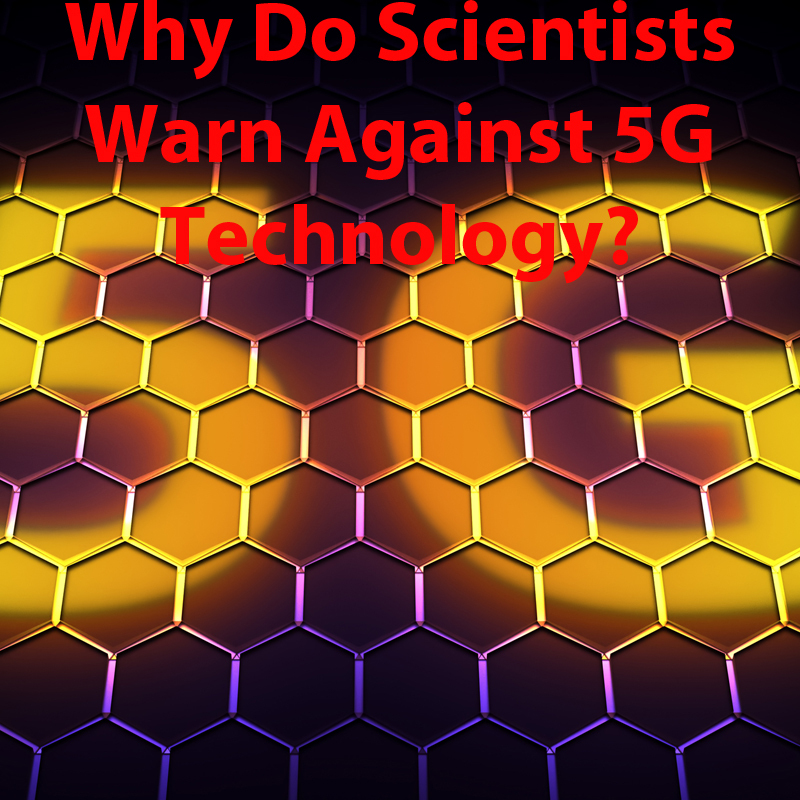 Dr. Joel M. Moskowitz, Ph.D. has written an excellent paper called, 5G Wireless Technology: Millimeter Wave Health Effects. In this paper, he says we know that low-intensity MMW’s have been studied for decades with variable results but ultimately, it’s been proven that MMW’s (millimeter waves) produce negative health effects. One example is multi-drug resistance to certain viruses. Would you ever imagine in a million years that EMF is probably the source of this problem? Have you been sick and no longer can use the same antibiotic that used to work for you? “Changing the sensitivity of bacteria to antibiotics by MMW irradiation can be important for the understanding of antibiotic resistance in the environment. In this respect, it is interesting that bacteria [that] survived near telecommunication-based stations like Bacillus and Clostridium spp. have been found to be multidrug resistant (Adebayo et al. 2014).” (Soghomonyan et al., 2016). His conclusion is that peer-reviewed research shows that short term exposure to MMW’s “affects human cells and may result in the growth of multi-drug resistant bacteria harmful to humans”. If you are ill, and nothing works, you’ll be sick for a long time. Further, we have no research on how constant exposure to MMW’s will affect our bodies. All the standards set by the FCC are based on 30 minutes of exposure! We absolutely have NO idea how this technology may affect our bodies, our trees, our bees, pets… it goes on and on. We suggest that, more than ever, it is vitally important to wear full-body EMF protection. It is highly likely that 5G will be coming to your neighborhood in the next one, two, five or ten years, whether we like it or not. The bandwidths currently used for cellular communication are FULL. The majority of people on this planet expect fast, clear mobile communication. The mobile communications industry has come up with a plan – use another frequency band. It’s already being rolled out all over this country. So, since we can’t really stop 5G, we must take personal action to protect ourselves. You can start by taking a personal inventory of your EMF Exposure. The EMF Exposure Quiz will provide you with a protection suggestion based on your sensitivity and exposure level. This entry was posted in Smartmeter / 5G on June 8, 2018 by Virginia.